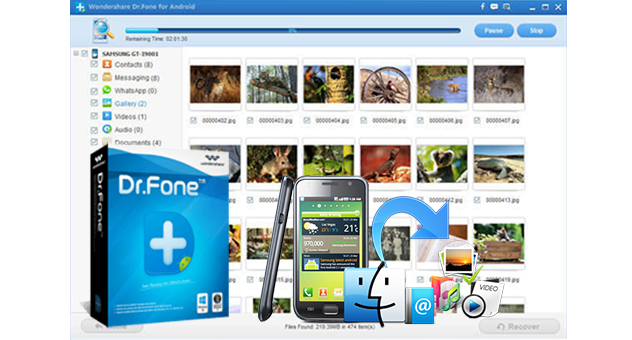 Wondershare Dr.Fone for Android is the World’s 1st Android Data Recovery for Smartphones & Tablets. It allows you to recover lost or deleted contacts, text messages, photos, WhatsApp messages, audio files, videos, documents and more. Allows you to scan and preview all the contacts, messages, WhatsApp history, photos, documents, and more. Then simply select only the files that you want to restore. Dr.Fone for Android can be set in multi-languages including German, English, Japanese, French, Portuguese, Spanish and Italian according to your condition.